Have you ever gone to the store to get granola for your family and looked at the labels? You might as well be buying candy for them unless that is what you mean to do. 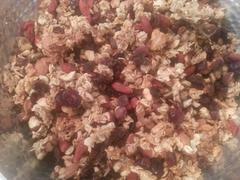 Most of the granola out there is loaded with sugar. When I look at some of these labels I laugh and think, these people might as well be giving their children sugar cereal instead of what they think is a healthier choice. After trying many recipes, I've found that my favorite is the following. It's very low in sugar and quite yummy. Did you know that in most cases, first aid is right outside your door? My first line of defense for cuts, bruises, itching, and bites is an herb called Plantain. Plantain for many of you is called a “weed”. I consider it prime medicine. 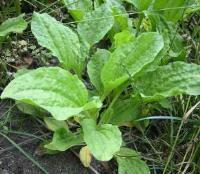 Plantain is one of the herbs in my top 5 list of mandatory plants to have. . This is the plant I teach children about first. Plantain, at least here in the northeast, grows everywhere. If there is a lawn that hasn't been sprayed, most times if you look you'll see plantain growing, especially around the perimeter.